Happy Sunday, God the Father will never be out done in generosity. He is love spilling upon love, like a fountain. In the dark it looks one way in the light the following day a young man dropped to one knee and proposed to his fiancé! She said 'yes!' 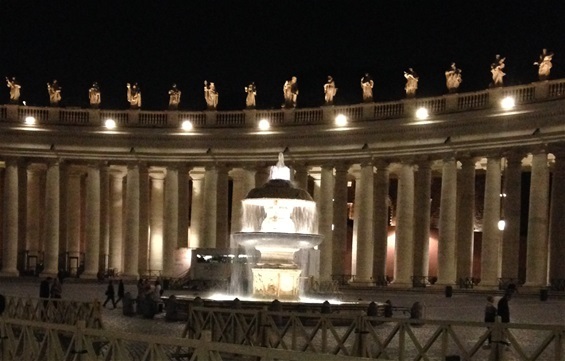 Now this fountain in St. Peter's Square is a moment of God's love in-breaking to the world. Of all the places in the world he chose here to have the young man utter a proposal for eternity. Rejoice Sunday! Love always endures and it never fails. Peace!